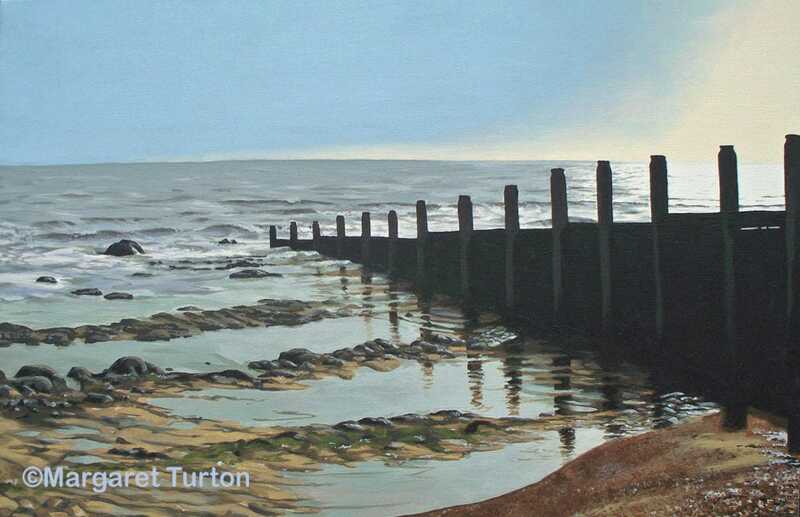 A gentle sea laps onto the shore of an English beach on the south coast, acrylic painting by Margaret Turton. 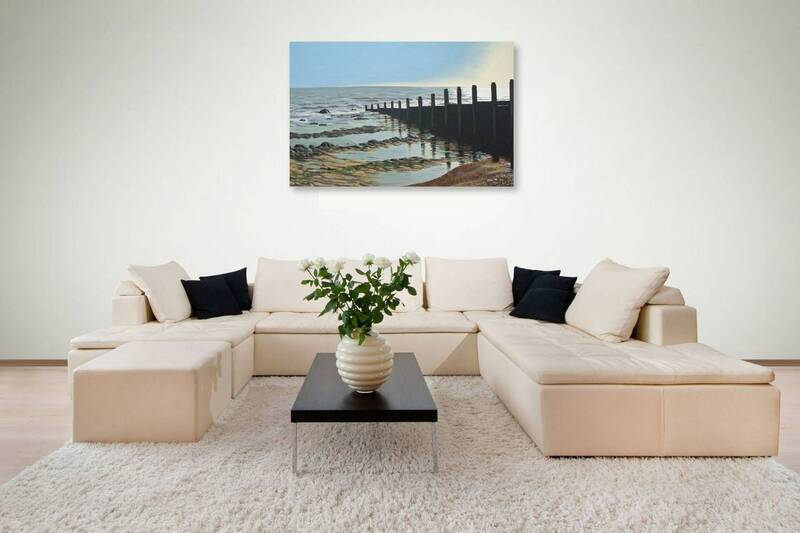 Size: 76cm x 50cm, 4cm deep. Painting continues around the edge of the box frame so no frame required.